Woofstock 2015 is a day of FREE outdoor fun and music for your whole family AND the place to find your perfect pet! Many rescue organizations from around the state will feature adoptable pets of every shape and size, including dogs, cats and other small critters. Trainers will be on hand to answer your new pet questions and to provide expert advice on finding just the right animal for your household. Bring your dogs to play in our fenced areas and ensure you get the right fit for your whole family. Licensed, leashed, vaccinated and well-behaved pets are welcome. 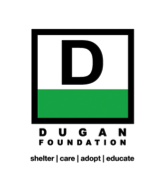 The Dugan Foundation was featured on CityLine News on July 23rd talking about Woofstock 2015 and the importance of adopting. Interested in volunteering or have a general question?